Michael Kugelman, author of Global Farms Race, shares his thoughts on the recent acquisition of Ecuadorian Amazon by the Chinese oil firm Andes Petroleum Ecuador. Whenever we hear about stories like these, stories of such immense exploitation and predation, there is a tendency to think: How can this happen? How can obscenely rich investors run roughshod over the land, livelihoods, and rights of impoverished local communities, and with utterly no consequences? It's a question I used to ask myself quite often as I began researching my book, The Global Farms Race, a study of how wealthy nations and investors acquire mammoth-sized expanses of precious agricultural land in some of the world's most food insecure countries. The answer is sobering: It happens because it can. The power asymmetries at play help explain why. The investors are rich, powerful, and accountable to no one (except, in the case of private financiers, to their stockholders). They are aided and abetted in their investments by often-corrupt host governments that pay little mind to the needs of their constituencies. And then there are the affected communities, which are invariably poor and lacking in support networks—in other words, deeply vulnerable to the predations of powerful outsiders. 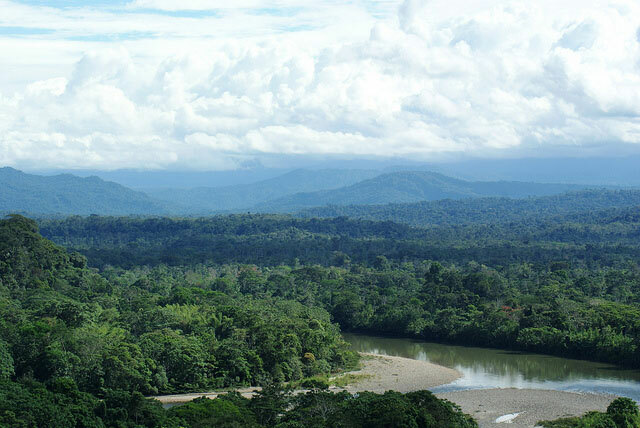 It is these power asymmetries that explain how a group of Chinese investors can waltz into Ecuador, stake out territory in dangerously close proximity to endangered tribes, and lay claim to an amount of pristine jungle the size of Los Angeles. These power asymmetries also explain how Indian corporate interests can grow food for export on farmland in conflict-riven Ethiopia previously cultivated for teff, a critical food crop. Or how agricultural investors from the United States, Europe, and East Asia have displaced hundreds, if not thousands, of local communities across Africa and Southeast Asia for their large agribusiness projects. I've discovered dozens of these cases, and they are all heartbreaking. This isn't to say that some deals aren't stopped. Back in 2009, an unsuccessful attempt by the Daewoo corporation to acquire 1.3 million hectares of farmland in Madagascar set off widespread national protests that ultimately led to the deal being scuppered. Typically, though, these deals—despite the immense amount of land involved—remain secret, and the word often doesn't get out. What my research revealed is that these deals tend to be cancelled, or at least modified in a way that reduces their harmful effects, only when host governments step up to say that enough is enough. The problem is that, like Ecuador, these governments tend to have a strong interest in seeing these deals through—because these schemes bring much-needed economic assistance—even though this assistance rarely percolates down to the masses. Still, there have been some success stories over time. Argentina and Brazil have passed laws to limit foreign land ownership. Cambodia and Laos have even declared freezes on new land concessions. What this all means is that international media coverage and shaming campaigns, as well as international civil society efforts to produce "codes of conduct" for international investors, are helpful—but ultimately limited in what they can accomplish. For actionable and meaningful results, we need to look to those that sign off on these deals to start with—the host governments. Michael Kugelman is the South and Southeast Asia associate at the Woodrow Wilson International Center for Scholars in Washington, DC. His work largely focuses on water, energy, food, land, and national security issues, particularly in, but not limited to, South Asia. His recent publications included the co-edited volumes Empty Bellies, Broken Dreams: Food Insecurity and the Future of Pakistan (Vanguard Press, 2011) and Land Grab: The Race for the World’s Farmland (Wilson Center, 2009).